Most of our customers are 50+ in age, so we wondered if and why young people were less committed to sharing their Christmas goodwill with a personalised Christmas card? Infact less that half of those aged between 16-34 bought a season’s greeting card.Preferring to turn to social media to spread festive cheer. However, it seems that those who buy cards favour quality over quantity in their approach. (According to Mintel figures) 51% of those aged 25-34 who buy greetings cards say it is worth paying more for a high-quality card, And while youngsters are less reliable in spreading their festive greetings, sales of Christmas cards continue to rise. 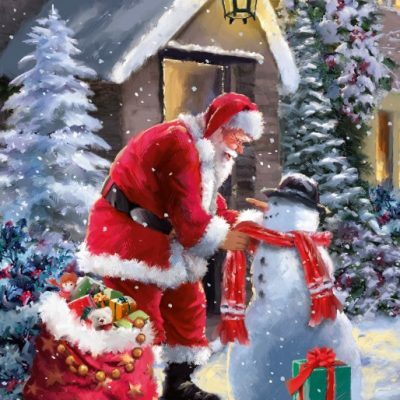 According to Mintel research, sales of Christmas cards have risen by 61% in the past five years. (79%) think that handwritten greetings cards feel more personal than those sent online. Personalising and customised card designs adds value and is more appealing to consumers particularly if it is online, so quick and easy to implement . Indeed, of the 80% of UK consumers who bought Christmas gifts online said that besides logistical benefits, convenience is crucial and 35% of Brits think prices are cheaper online than in-store. And Calendars? It seems the trend is somewhat mirrored in the purchase Diaries too…only 35% of those who have bought stationery in the last 12 months* say they prefer to use an online calendar than a paper diary, rising to 44% of those aged 16-24. In contrast 70% of those aged 55+ prefer to usage a paper diary than an online calendar. Whilst many Brits organise their life electronically, there is still a strong trend towards the traditional paper format because it is more personal and reflects more of an emotional attachment. So whilst the face of Christmas cards is changing, Christmas cards still hold intrinsic emotional value for both sender and recipient . 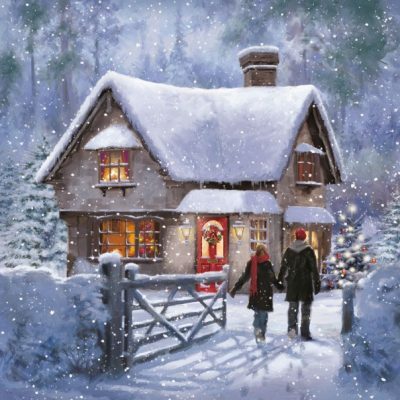 The Christmas card company provides a wide selection of design,s so you can choose the right message personalised to the people you care about, be that family or valued business contacts. What are your thoughts on the changing face of Christmas cards…is it just that young people are less reliable in their habits or is social media taking us over!? 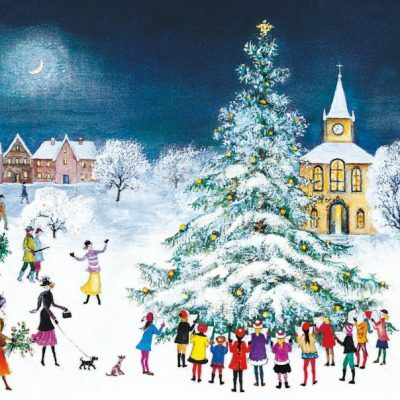 Which Christmas cards do you favour, traditional or contemporary? Christmas is drawing ever closer and despite themselves are succumbing to the Christmas spirit! We all like to think we are too ‘grown up’ for the fuss at Christmas but between you and me we still love it! It reminds us of our childhood and we love how it brings the best out in people, if only for a few months people are kind to each other and spend time with their families and friends rather than just work, work, work! The Christmas card company can confirm that Christmas is alive and well through the kind of cards people choose from our wide selection. The most popular selected Charities are the ones we all most familiar with such as British Heart Foundation, Cancer Research or Alzheimers. A personalised Christmas Card is a good way to express your sentiments to your friends and family as well as helping others via charities. 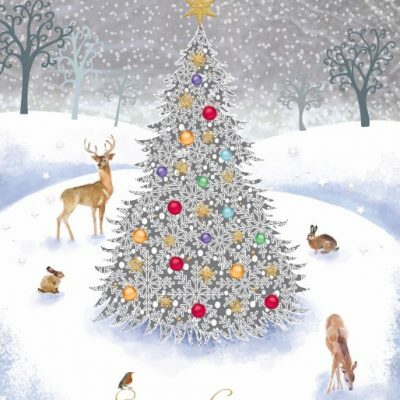 As Christmas nears orders are starting to increase and the quantities (which can be from 30-3000+) so give us a call to discuss your selection of Christmas card be it cutsie animals, corporate and contemporary or classic traditional Christmas and have a great Christmas! In this digital age of smart devices and mobile phones Christmas Calendars remain an efficient way of advertising your name & services to your clients and making sure they think about you all year round. With appealing images and brand benefits in bite sized pieces , a bespoke calendar it allows your customers and potential customers to learn something about your products/services and become familiar with your brand on a daily or monthly basis. a leaf to see what’s on next months calendar page. to ‘cross sell’ and demonstrate to customers the range of products or services you offer which otherwise they may be unaware of. Or it can be used to show the different markets you operate in or different applications of your product. Essentially you have 12 Advertising display pages to showcase your products with the potential to be viewed every day complete with a contact number. So why not check out the Calendar format options and then design your own calendar or choose one off the shelf and add your brand to it. Customers can now provide their own design and logo and let us do the rest, including title pages, adding inserts, a charitable logo, a personalised greeting…whatever you require. 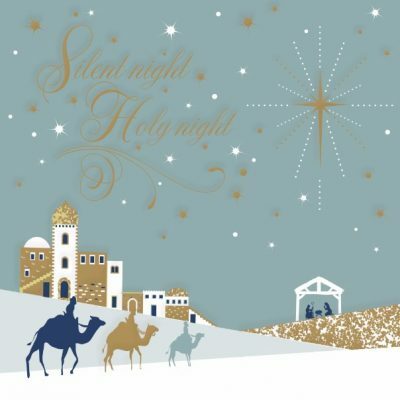 The Christmas Card Company is the sister company to Almar printing company which, has been providing high quality printed matter for over 40 years and are adept and using special print finishes to make your cards look extra special. We offer cards in various categories from humour based to contemporary, photographic and of course traditional and we pride ourselves on our service being a little more personable than the ‘usual’ internet card service. With the Christmas Card Company you can speak to someone and discuss exactly what your needs are and receive a FREE proof with your final quotation in response to your completed order form. 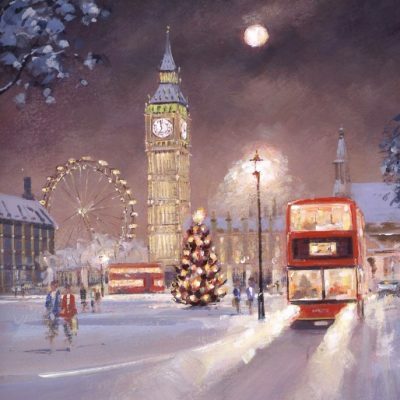 So Have a look through our varied selection of peronalised Christmas cards and please don’t’ hesitate to give us a call if you need some assistance or to talk through your design idea. In the meantime here are few traditional and contemporary designs you may have missed…simply add your personalisation! Sending out a personalised corporate Christmas card is a personal way of thanking your customers for their support during the year and wishing them happy holidays. Hopefully, it also makes your customers appreciate your good wishes, your input over the last year and encourage them to want to work with you again in the new year. 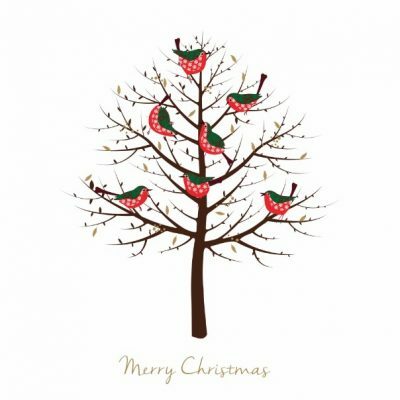 However, there is always a balancing act to be done…a Christmas card is not to be seen as simply a sales tool to push your business but a gesture of appreciation and goodwill. 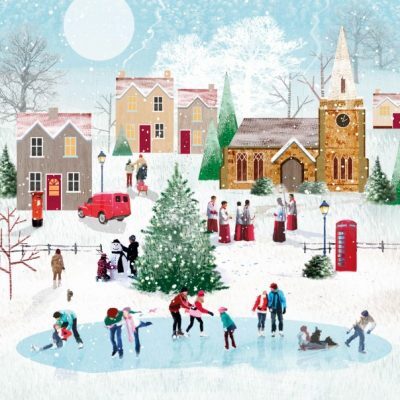 The Christmas Card company provides a large selection of personalised Christmas cards of which 10p from every card goes to Charity. You simply select the charity of your choice (or from a large selection on our website) and then we include the specific Charity’s logo on the card. this means not only are you supporting those less fortunate but you are also making a statement as a business that you have a corporate conscience and that doing business is about relationships and profit alone. send out a Personalised Christmas card proudly displaying the Charity of your choice and let your customers know that at least for this time of year it’s not just about profit. Below are just a few of the incredibly worth charities you can support…(see our website for a full list of charities). Research, improved treatments and support for children with cancer and their families are still much-needed. Every week in the UK, more than 70 children and young people are diagnosed with cancer. Every year we invest more than £4 million in new research across the full range of childhood cancers. We currently have more than 60 projects under way at leading centres around the UK. This includes research that aims to drive up survival rates in even the hardest-to-treat cancers and to reduce the burden of toxicity for young cancer patients. With your continued help we can continue our life-saving work. The British Heart Foundation is a charity organisation in the United Kingdom. It is the single biggest funder of cardiovascular research in the UK. Keeping your heart healthy, whatever your age, is the most important thing you can do to help prevent and manage heart disease. By supporting the Stroke Association you are helping the sufferers of Strokes to make the best possible recovery. The number of stroke survivors is expected to more than double in the next 20 years, meaning over 2 million people in the UK are anticipated to be living with the effects of stroke. As the ageing population grows, so too will the pressure on our already stretched health and social care services to treat and care for people affected by stroke. This is why we need your support. Funding stroke research is the only way we will find more effective treatments and rehabilitation techniques. This would mean that more people could live independently, be less affected by disability, and less reliant on both care providers and their families.